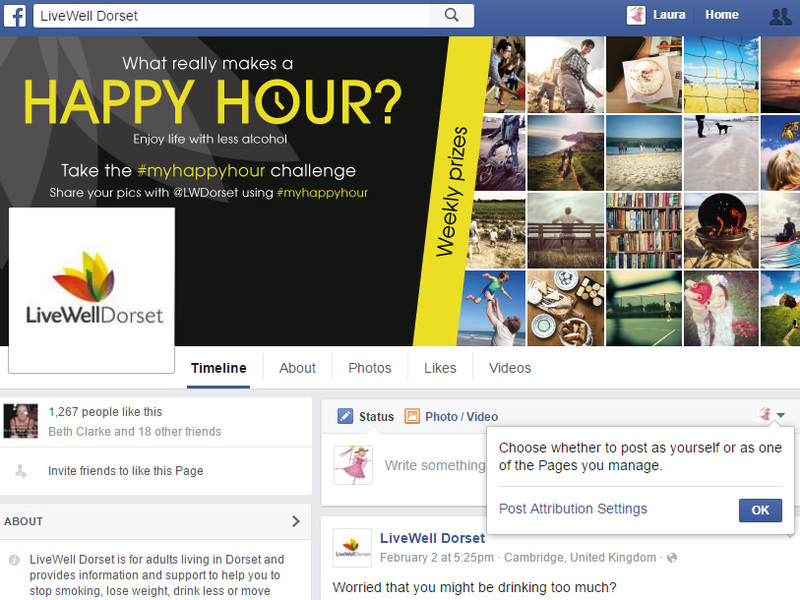 Adido launched an advertising campaign for Public Health Dorset encouraging positive drinking habits. Adido was responsible for communication and channel strategy, design & build plus media planning and buying. The campaign was not about targeting the night time economy in the town, nor was it aimed at reaching dependent drinkers. Public Health Dorset was very clear that they wanted to reach out to people who regularly drink just over the recommended amount – a hard audience to deliver a compelling and stand-out message to! The campaign also needed to encourage Bournemouth residents to contact the LiveWell Dorset service for advice should they feel they need support in this area. Following extensive audience research into Experian Mosaic profiles and published public health studies on drinking behaviour, two key target audiences were defined - ‘socialites’ and ‘busy families.’ Both groups were well represented in the local area and exhibited risky drinking behaviour. The characteristics and triggers for drinking (social norms / relaxation / reward) inspired the campaign #MyHappyHour. The target groups were encouraged to seek alternative happy hour moments - rather than head to the pub or grab a glass of wine when they got home to unwind/de-stress/be happy. 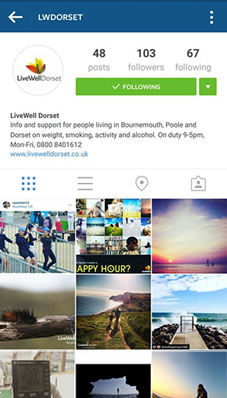 As part of the communication strategy, LiveWell Dorset would also offer inspiring ways to spend #myhappyhour and encourage people to share their moments on social media using the hashtag. The campaign was supported by a weekly prize draw to incentivise participation, keep the audience engaged over the course of 8 weeks with the output also helping to create additional content - crowdsourcing alternative happy hour moments. The message was promoted using a mix of online and offline local media with brand owned social media platforms updated to activate and manage the campaign. #MyHappyHour was promoted across social media (Facebook, Twitter & Instagram), local websites (Bournemouth Echo, Gumtree), and offline media (print ads, bus backs, digital screens) to reach a highly concentrated local audience. Ads and social posts offered inspiration on what alternative activities they could do instead of reaching for a drink. Local businesses were also targeted through network contacts to encourage greater participation – additional assets were provided to these businesses to help with internal promotion. A campaign microsite was also created to support the campaign, with a link to competition T’s and C’s and a Storify inspiration page (which aggregated all the competition entries). The weekly prizes reflected activities that people could do without alcohol with the winners being chosen for how imaginative their alternative activity was as well as the visual appeal. As part of a multi-touch point strategy, a social media presence was proposed as the central hub for seeding out content; connecting with the target audience and inspiring product usage.